Whether you’ll be grilling, dining, lounging, or hosting, Orange Coast Hardware & Lumber has a multitude of choices for any look and budget. You can choose from an array of natural wood, including dense and resistant tropical hardwoods or naturally beautiful redwood and cedar, or consider pressure-treated lumber, or various composites, which require virtually no maintenance. Have a specific need? Our expert staff are happy to help you in your search for decking that is non-slip, pest-resistant, or even specifically designed to minimize squeaking. Whether you are curious about artificial decking or decking that doesn’t warp, there are a great deal of choices available to you. Come visit our Orange County location – you owe it to yourself to talk to an expert who can explain the pros and cons of your various options. Increase the appeal of your home’s outdoor living areas with new decking. We offer a multitude of choices for any look or budget. We carry an array of natural wood decking including hard woods, extremely dense and resistant tropical woods, pressure-treated or PT lumber, redwood, cedar, and various composites which require virtually no maintenance. Have a specific need? Talk to a member of our expert staff about your choices. We have non-slip decking, pest-resistant decking, even decking specifically designed with rubberized strips to minimize squeak. Want a warp-free deck? 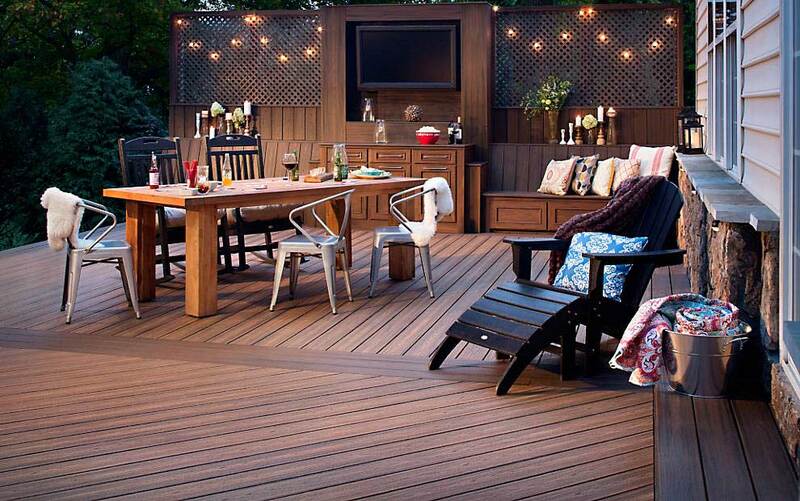 Are you curious to learn more about artificial decking and its various features? Just come in and ask! Nowadays there are so many choices available to you that you owe it to yourself (and your new deck) to talk to someone who can really explain pros and cons of your various options.